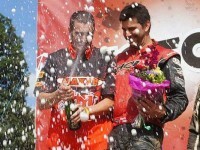 Blingstar’s Nick Nelson put in a solid race at the fifth round of the Rocky Mountain ATV MC WORCS Series. Team owner, Clint Roberts, had to sit this round out, but is looking forward to a strong Blingstar presence after the break. 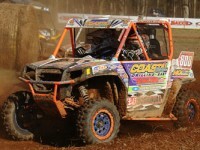 Polaris / Coastal / CST / National Guard / Yoshimura / Yokley Racing Team driver William Yokley finished 1st Overall and 1st in the XC1 Modified Class. 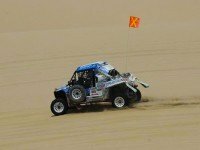 Team driver Scott Kiger finished 4th Overall and 4th in the same class. 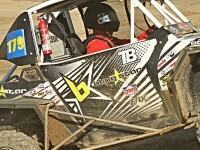 There were 46 total entries including 22 XC1 Modified teams. William’s guest passenger was his wife Tina, and Scott’s passenger was Tyler King. 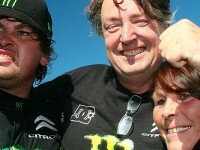 There are three Polaris teams still headed for The 2013 Dakar Rally finish line. The next couple of stages of the rally are some of the most difficult. 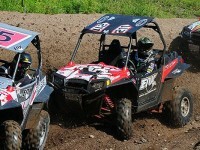 The two driver team of Beau Baron and Mark Holz traveled halfway around the world, to Saint- Martin-en-Haut, France to compete in the La Motor’s Courses De Quad & SSV race held July 28 & 29th onboard the Polaris XP900. 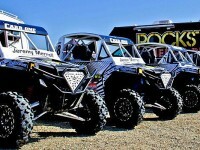 Over in the West coast of America, Blingstar, Rockstar and Polaris have combined to create a six man RZR XP900 team, ready to take on Lucas Oil Regional Off Road Series. Liam Doran, the 2011 XGames Rally Gold medalist, had one of his toughest weekends to date at XGames 18 in LA over the weekend. 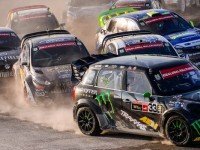 After jump related incidents involving Marcus Gronholm and Toomas Heikkinen; Doran made it clear that he would not complete a practice run at the event until the track was adjusted by organisers. 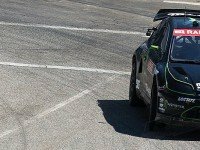 The best result of the year to date and a big step forward in understanding how the new Citroën DS3 Supercar works has kept Liam Doran in the hunt for the European Rallycross Championship after the fifth round of the ten-race series in Norway.